At the end of September, a group of Students from York took a lorry packed with donations from local people to the ‘Jungle’ camp in Calais. We’re hosting a public meeting sharing what they saw during their visit, and to discuss future practical and political action for refugees. The meeting will be in three parts. The first part will be the eyewitness accounts of what they saw in the camps, in the second part they will be taking any questions people might have, and in the final part we will be discussing any further action that we might take. We’ll be having a collection, with everything minus the venue hire cost going to projects working with the refugees. In one of the largest demonstrations the city has seen for years, over a thousand people marched the streets yesterday, calling for refugees to be made welcome in York. Starting in torrential rain at St. Helen’s Square and finishing with blue skies at the Minster, the weather on the day was perhaps symbolic of the way attitudes have changed in Britain towards the humanitarian crisis. In the past weeks, some of the world’s most desperate people have faced an onslaught of abuse and degradation from our media and government. Yesterday marked the beginning of a compassionate approach to the issue from ordinary people, coinciding with events across the country. 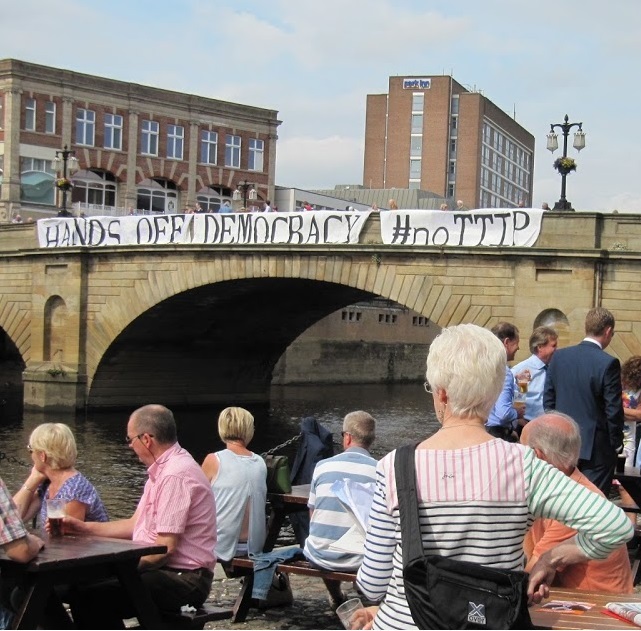 We’re delighted to announce the first ever People’s Assembly meeting in Malton. If you live in Ryedale, come along to The Yard in Malton’s market place at 7.30pm on Monday 14th September. The district faces bus and fire service cuts, amongst others. 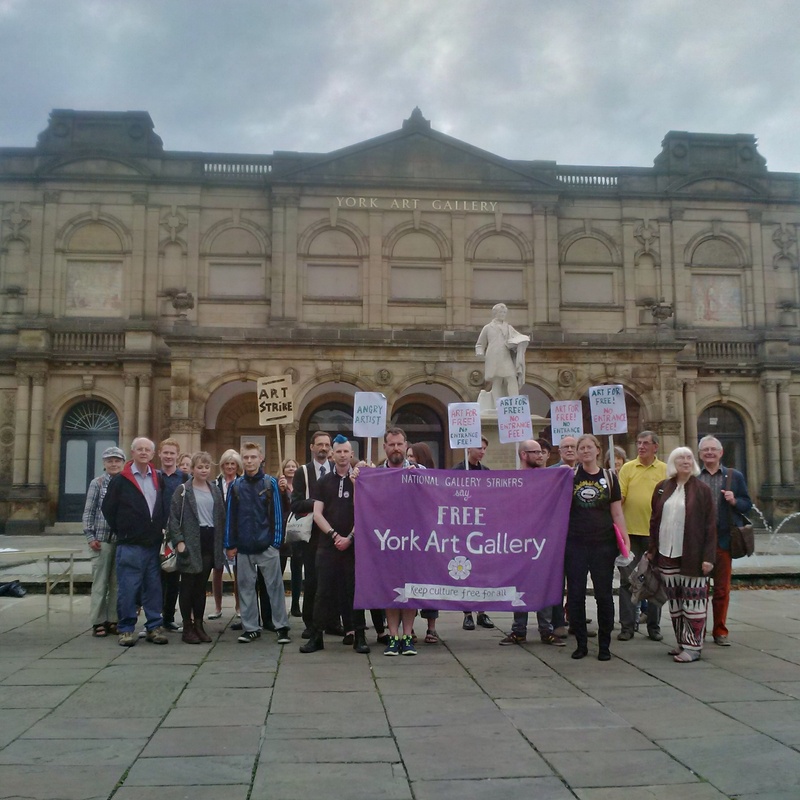 The last 24 hours has seen a 2nd visit to York by a PCS member taking part in what has become all-out strike action at London’s National Gallery. As well as strike fund collections, there were two media calls outside York Art Gallery and a public meeting to discuss austerity’s effects on arts. The meeting showed that there are strong similarities despite the differences in the two campaigns, and the risk of art becoming entirely sealed off for the benefit of economic and cultural elites, or compromised by reliance on big business sponsorship. 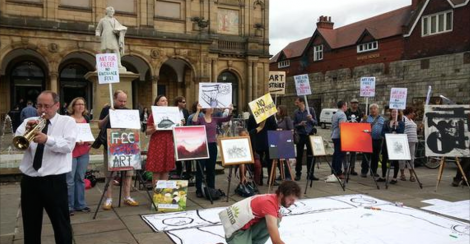 Two weeks ago, we were outside York Art Gallery, creating a free gallery and demanding our right (as specified in the lease) to free gallery access for residents. Now there’s a plan afoot to hold ‘the consultation York Museum’s Trust forgot’. On Tuesday 18th August, from 5.30 to 7.30pm at Priory Street Centre, we’ll be offering you the chance to air your views on how our gallery is run, and what purpose it serves. If enough people show up, we can show YMT and the council that our voices must be heard in this process. Register a free place here. Unite Community to come to York! 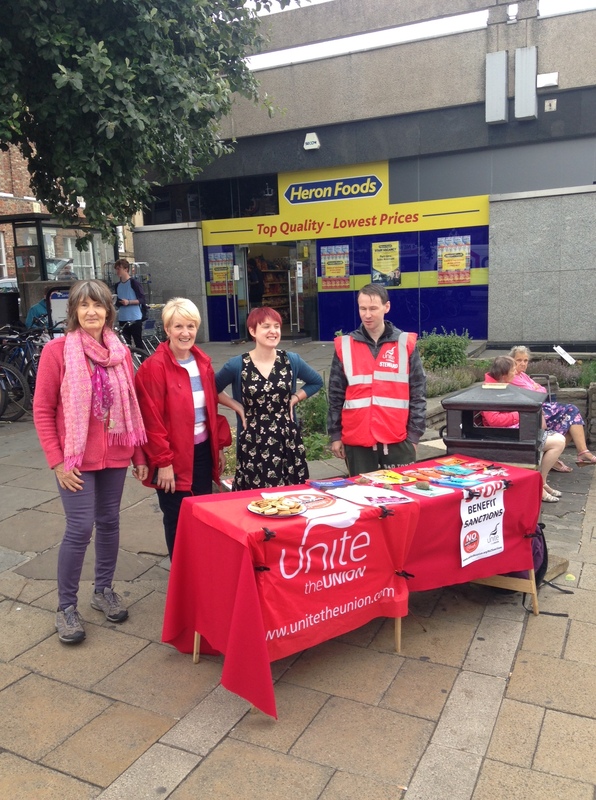 Unite the union has established a national initiative called ‘Unite Community’. Unite Community will act as a union for the unemployed and the retired who cannot join most work unions. They will soon be setting up a branch in York to continue their work in giving a voice to those who are marginalised by society.